The 3D Type Book is the third book conceived, compiled, written and designed by Agathe Jacquillat and Tomi Vollauschek at London-based design studio FL@33. ___ Similar to FL@33's previous books Postcard (2008) and Made & Sold (2009) we also created a dedicated website for The 3D Type Book (2011). 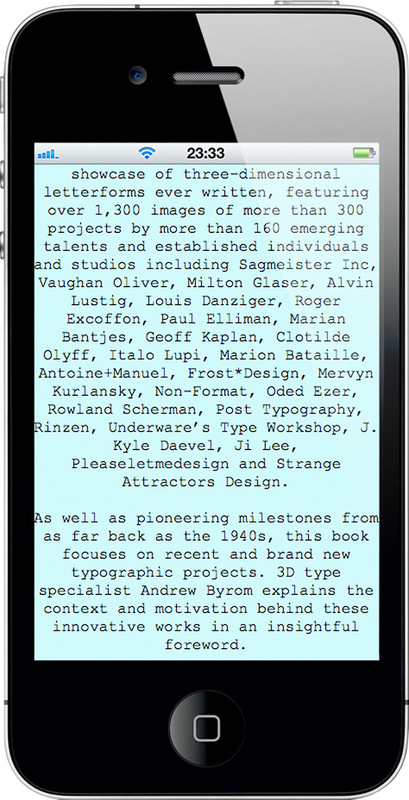 ___ The iPhone-friendly microsite 3d-type.com features details and additional info on this book including the complete list of contributors, publishers' contact details etc. The HD preview video created for the website has now also been posted here at flat33.com. The 3D Type Book is the most comprehensive showcase of three-dimensional letterforms ever written, featuring over 1,300 images of more than 300 projects by more than 160 emerging talents and established individuals and studios including Sagmeister Inc, Vaughan Oliver, Milton Glaser, Alvin Lustig, Louis Danziger, Roger Excoffon, Paul Elliman, Marian Bantjes, Geoff Kaplan, Clotilde Olyff, Italo Lupi, Marion Bataille, Antoine+Manuel, Frost*Design, Mervyn Kurlansky, Non-Format, Oded Ezer, Rowland Scherman, Post Typography, Rinzen, Underware’s Type Workshop, J. Kyle Daevel, Ji Lee, Pleaseletmedesign and Strange Attractors Design. As well as pioneering milestones from as far back as the 1940s, this book focuses on recent and brand new typographic projects. 3D type specialist Andrew Byrom explains the context and motivation behind these innovative works in an insightful foreword. March 21st, 2017 — We managed to get our hands on a few of the remaining mint US copies of FL@33's The 3D Type Book. A few signed copies are available at stereohype.com. 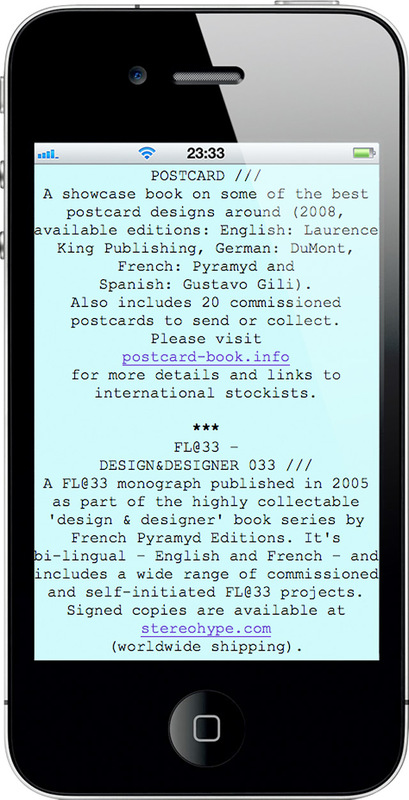 February 26th, 2016 — Grafik posted a review of their Letterform Live: Fashion event that also included FL@33's Tomi Vollauschek as speaker: Catwalks + Kerning. February 24th, 2016 — Letterform Live: Fashion event including a talk by FL@33's Tomi Vollauschek, hosted by Grafik in partnership with Monotype. Protein Studios, London. See our documentation here. 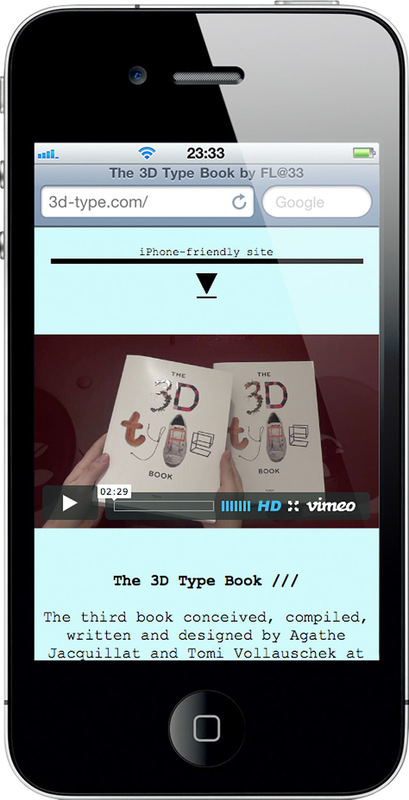 December 2nd, 2013 — Typography blog Typostrate reviews FL@33's The 3D Type Book. March 13th, 2013 — Public lecture by FL@33's Tomi Vollauschek at Maryland Institute College of Art (MICA) tonight at 7pm, followed by a booksigning. 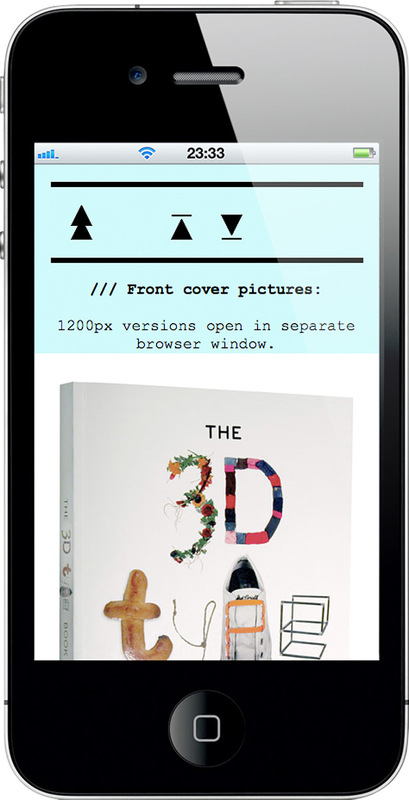 Lecture title: ABCDimensional: an in-depth look at selected projects from The 3D Type Book. Location: MICA, Brown Center, Falvey Hall, 1301 W. Mount Royal Avenue, Baltimore, MD, USA. 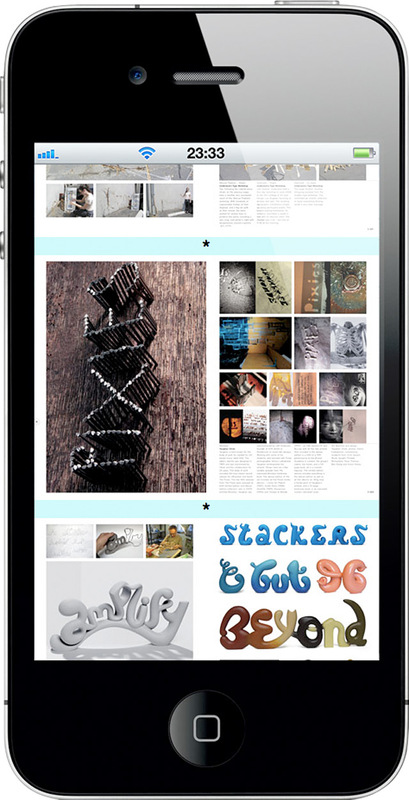 September 27th, 2011 — A very nice review of our The 3D Type Book appeared in Dutch newspaper De Volkskrant earlier this month and a kind stranger let us know today and emailed us a scan. 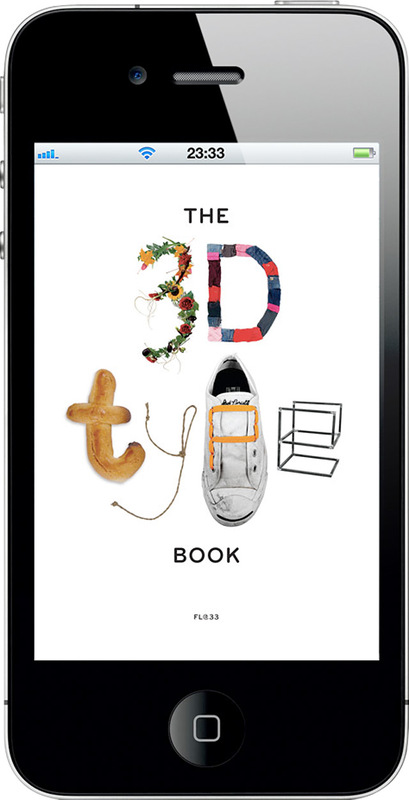 August 12th, 2011 — The 3D Type Book is #1 at amazon.de's Bestseller list today in the category English language Typography books. Nice.